The opening slot of the tournament isn’t that interesting, so we’ll go with what will be many Americans first chance to see an Australian quidditch team play in person. It will also be the only game contested by two international teams in all of pool play. In many ways, McGill serves as a perfect litmus test for the Australians. Their beater game lags behind, so Sydney won’t get run off the field by an advanced beating game unlike anything they’ve seen before, but McGill is also a very physical team in the quaffle game, so we’ll get to see whether an Australian team is ready to deal with North American physicality. If Sydney isn’t up to the task, and this game gets out of hand quickly, the game next door on Field 6 between North Carolina and Florida’s Finest features some very high quality players in Max Miceli of the Tar Heels and Sean Pagoada of the Finest. A week ago, this game wouldn’t have even been on my radar. But with utility player Harry Greenhouse of Maryland officially out for the tournament, and chaser Matt Angelico also not on the roster, this match serves as an important test for the Pot One side. Tennessee Tech is not the strongest of opponents, but they have a long history of keeping talented teams in snitch range – University of Florida twice at South Regionals this season, Bowling Green at World Cup last season – and are physical enough to not get run off the field by the hard-hitting Maryland chaser lines. Even if this game doesn’t end up close by the time the snitch returns, it will be interesting to see who the Terrapins go with in the seeker game. Bryan Barrows has served as the team’s emergency seeker in the past, but having him seek would be another major blow to their quaffle game. Going up against snitch Mohammad Azizi won’t be the tallest of seeker tests in the tournament, but should be a good gauge of skill level, especially if Tennessee Tech is going for the suicide grab as well. This game has upset potential written all over it. The recipe to beating Emerson is a strong beating game that can maintain bludger control and make the zone less effective, some quaffle players that can tackle in the open field to shut down a couple David Fox fast breaks, and a seeker that can outplay the inexperienced Emerson yellow headband rotation. And, when you look at it, Northern Arizona comes pretty close to filling all of that. While their male beater situation is in flux, April Gonzalez can outplay any of the Emerson female beaters, their chasers know how to hit, and Porter Marsh is in the conversation for being one of the best seekers in the game. Of course, the Narwhals have their own issues thanks to a short roster due to IQA suspensions. This game has more questions than answers coming in, and should be a low-scoring dog fight throughout. Always the bridesmaids and never the brides, Penn State and South Florida have long been the marquee tier two team in a top-heavy region. Now, the pair will face off in a pool that, thanks to South Florida’s fall to Pot Four, is one of the deepest in the tournament. The edge in both athleticism and size in the quaffle game strongly favors South Florida, especially with Jason Rosenberg’s continued absence from the Nittany Lion lineup, but the Bulls will need an answer for beater Scott Axel or he could take over the game. Penn State also likely has the edge at seeker, if it were to come to that, and I very much believe it will. A win early in this pool is going to be invaluable, so, even this early in the day, expect these two to be leaving everything on the pitch. Much like the last game, this is a must-win early game in a very-crowded pool. Assuming NYDC takes care of business, there are only two spots for Austin, Michigan and Santa Barbara, all of whom are Sunday-quality teams. That makes every one of the three games between these three teams huge, starting with this one. This game is really a tale of two styles. 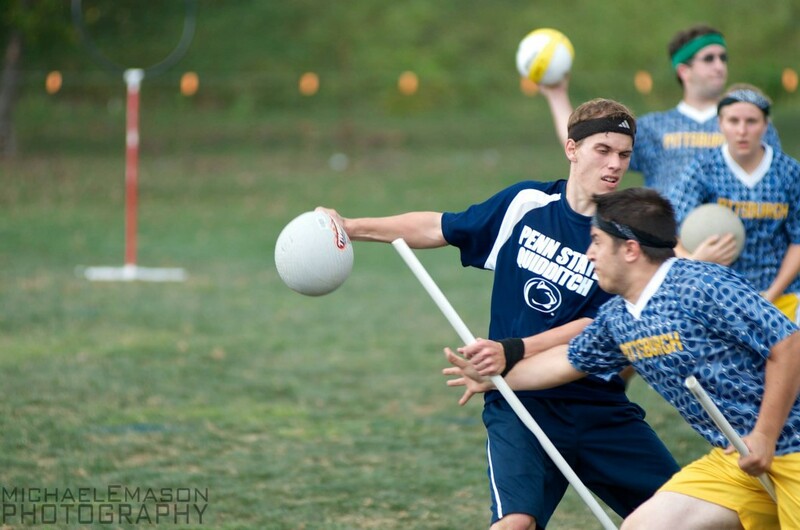 Michigan Quidditch is Andrew Axtell, they live and die by what he can do in the chasing game, and he can do a lot. 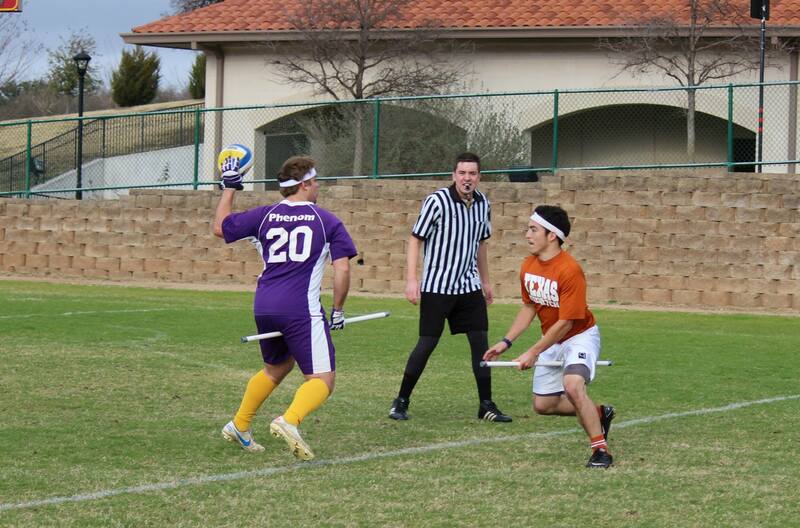 Austin Quidditch has a lot of solid players, but plays a team-style, relying on passing more than hero ball type drives. Will Austin be better at shutting down Axtell, or will the Wolverines be better at closing down passing options? Either way, the winner will have the inside track to Day Two, while the loser may be on the outside looking in. From the day that the rankings were locked, many people picked out the Gee Gees, the Canadian Regional Champions, as the weakest Pot One team. They will get the chance to prove themselves for the first time here against one of the tournament’s scariest Pot Three teams. This game will very much be a clash of styles. The Gee Gees want to keep up the tempo and let their athletic chaser lines run wild, while LSU wants to slow down the game, keep things in the half-court, and let Brad Armentor and their talented beaters control things. Whoever can impose their style on this game will have the advantage, but even then, this one could very well be within snitch range, where we’ll be treated to a tasty seeker matchup. And they’ll have their work cut out for them, with Rob Snitch getting the assignment for the game. Virginia is the great enigma of World Cup VII, having quietly crept its way onto the national radar. 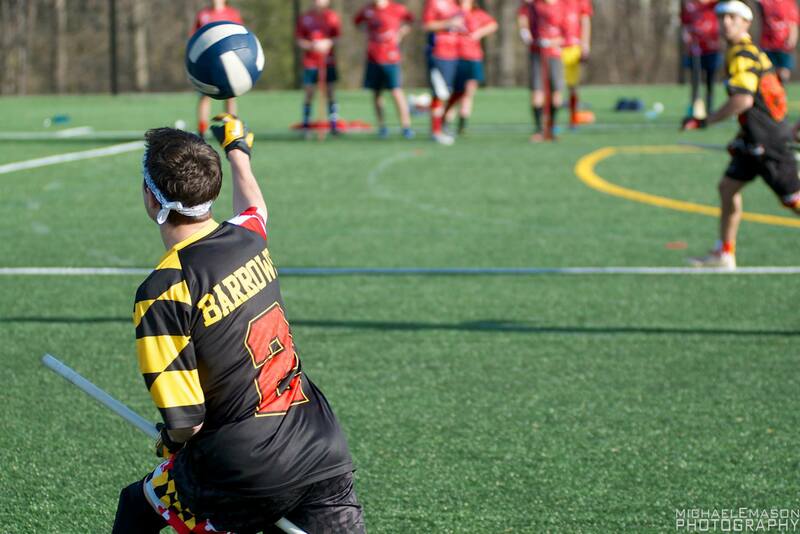 At Regionals, the Cavaliers kept Maryland within snitch range, and earlier this month, the squad scored wins over UNC and Richmond, marking their second tournament victory of the semester. Not the biggest or strongest team, Viriginia plays smart, with an offense that is a never ending cycle of on-ball screens and passes and a defense capable of making a hit when necessary. They’ll face an experienced Florida side that has also been experimenting strategically this season, often relying on a two- male beater set. Will one team outsmart the other, or will the Gators’ Dre Clements simply be the strongest player on the pitch and boss the game? Whoever is the answer to that question gets a valuable win in a pool where Hofstra could spoil either team’s Sunday dreams. Two teams with large hype trains throughout the year, each has a lot to prove in the pool of death. Both squads know how to play as a team, so expect smart offensive play supported by physical, athletic chasers. The question mark on both sides is in the beating game, and whoever can grab the initiative there will have the advantage. This is also a chance to see what the Capitalists James Hicks and John Gaffigan have to bring to the table in their return to the team. While Alex Linde did an admirable job ball-handling in their absence, it should mark a solid improvement to their offense that will be needed for a truly deep bracket run. I know that only 3:00 is an actual break slot, but the 2:20 slot is so underwhelming that you’re honestly better off extending your break and getting a nice lunch. If you’re really desperate for even more quidditch than you are getting, my suggestion would be NYU vs. Carleton on Field 7. Two teams with a lot of past pride that have been killed this year by losing players throughout the season. No two regions have received as much flak this season as the Midwest and the South. Now, two of the best teams from these regions will face off with a chance to show that their area is stronger. While there are plenty of talented quaffle players on both sides of the ball, I expect this one to come down to the beater game, where Sean Pagoada, arguably the strongest male beater in the South, will take on Ashley Calhoun, arguably the strongest female beater in the Midwest. Whoever can maintain bludger control should give their physical offense plenty of opportunity to go to work. As an added storyline, if this game remains in snitch range, former Ball State star seeker and Team USA member Tyler Macy will have a chance to stick it to his old region in his first ever tournament with the Finest. This is very much a prove-something game. University of Arkansas was one of the last two undefeated teams in the country before showing up to Southwest Regionals and needing to qualify for World Cup through the secondary bracket after a pair of losses to Oklahoma State University. Michigan State, meanwhile, was touted by some as a truly elite team with a top tier player in Jacob Heppe. But a gradual downfall, capped off by an ugly loss to the University of Rochester at the Glass City Invitational, exposed a lot of flaws. Despite all of this, the two free-falling sides drew an incredibly friendly pool, and the winner of this game will almost surely go 4-0 and earn a spot directly into the Round of 32. It’s also a rare chance for the much-hyped Reynebeau brothers of Arkansas to get some national attention, as they look to outplay Heppe across the field from them. Honestly, there’s not much to see here. A lot of elite teams beating up on lesser ones, or games between two teams we won’t see on Sunday. The slate of games is about to get pretty juicy, so best to get an early dinner and then grab a seat. A second game from this crowded pool, and another that should be extremely entertaining. While I don’t know too much about either team, that’s part of the appeal, and the fact that Oklahoma State was able to hang with and beat a team like Arkansas twice all but guarantees it won’t be a runaway in the Bulls’ favor. As the day gets later, the search is really for games with high stakes, and this one could very well be for a spot in bracket play. A primetime matchup that features two solid teams that regularly rely on dictating the style of play to beat their opposition. Beaters Michael Sanders and Matt Cardarelli of Tufts will need to be able to go beat-for-beat with LSU’s Jason Winn and Daniel DePaula if the Tufflepuffs hope to contain Brad Armentor. If they can’t, the Tigers may be able to tighten up on the defensive end and get enough goals to pull away. But if they can, Tufts has the pace to push the tempo and score goals in transition. Perhaps the most exciting prospect is a snitch range game that will have BJ Mestnik and Duncan Ferguson going up against Gabe Garcez, considered by some to be the best snitch in the game. That alone might be worth the price of admission for this game, but if it’s not, how about the fact that, if both dispatch of Ottawa earlier in the day, this could be a game between a pair of undefeated teams looking to win a pool and make their Sunday look that much easier. We haven’t had one chance to see Miami play against a top tier out-of-region team, or any out-of-region team for that matter, since their infamous loss to Bowling Green at World Cup VI. While they will not be the only team holding up the South banner this weekend, they are almost inarguably the best, and a win over a tie- two Southwest team in Texas State would go a long way in legitimizing the region. Miami Beater Shannon Morehead should be pretty close to 100 percent, and her presence might be enough to push the Hurricane over the top. But if it’s not, and Texas State can keep the beater play at 50-50, Texas State’s Eric Reyes is the kind of player that can take over a game. If the game remains close, it could be a chance to test the Southwest’s unheralded seeker play against one of the game’s best in Miami’s David Moyer. All eyes are going to be on Texas A&M and Kansas, but I think Ohio State gives the Lost Boys the closer game, and even if I’m wrong, the other game will be recorded. If nothing else, we should be treated to some attractive play: Ohio State has been displaying a good-looking passing game in recent weeks, while Lost Boys keepers Tony Rodriguez and Alex Browne are two of the best ball handlers in the world. This is before even getting into having a chance to see Vanessa Goh and Missy Sponagle ply their trade, or Peter Lee and Chris Seto for that matter. 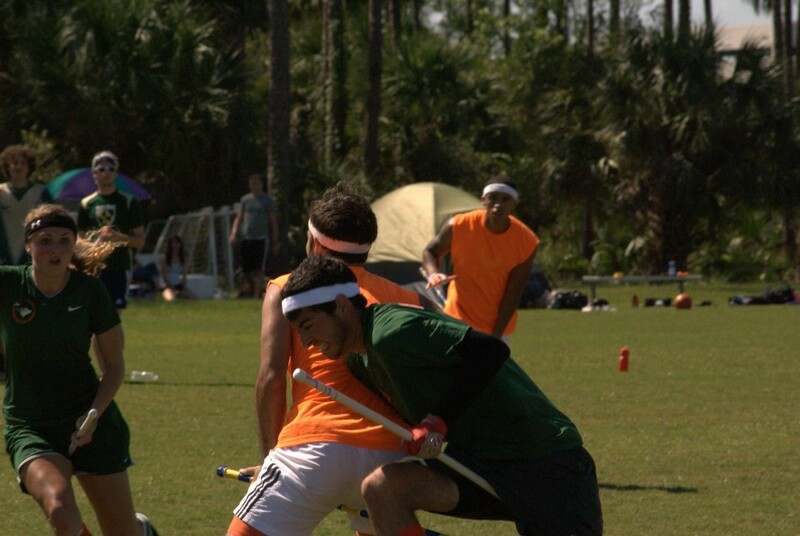 The Lost Boys play truly can’t miss quidditch, and this is the highest quality opposition they’ll play on Saturday, so don’t miss out. Much of the attention in this time slot will be on Texas and QC Boston on Field 1, and I can’t fault anyone who would want to go that route, but I have a few reasons for favoring this game. Massacre is built to run-and-gun and use its athleticism, which plays right into Texas’ hands. The game will be exciting and high-scoring, but I expect Texas to pull away after a few open field tackles and Augie Monroe drives. RIT, on the other hand, is built to slow the game down and hang with teams that are better than them. The Dark Marks will reduce the number of possessions, and if Lone Star takes a little while to figure out how to breakdown their compact defense, it suddenly doesn’t leave many chances to get out of snitch range. I still expect Lone Star to win this going away, but I think it’ll be closer than the other game, and at the worst, at least you get to watch one of the sport’s top two teams play before starting their bracket run. At this time of the night, what really matters is stakes, and assuming Maryland takes care of business, this game will almost definitely be for third place in the pool. I personally think Harvard is one of the most underrated teams around, but they also are consistently short-rostered, and could very well be exhausted by their fourth game of the day. If they can keep it together though, Jon Jackson should be the best quaffle player on the pitch, and their beater game should be able to do just enough to give him the opportunity to go through Tennessee Tech. But Tech definitely has more depth, and if they can exploit it, they can get a well-deserved trip to bracket play. Really, this game just wins out because it’s the most likely to still have relevance at this time of the night. These two teams should enter 1-2 with the last spot in the pool on the line. The best player on the pitch will likely be Chisa Egbelu of Rutgers, and with his ability to dodge bludgers and cut through defenses, he could give the Cardinal a lot of headaches. And, if Rutgers does pull off the win, then one of the last teams to have earned a bid will be moving on to Sunday. Two teams playing for their season, just about everything you can ask for in this slot.